The relationship that China and Venezuela have established under energy cooperation framework has allowed the creation of a Joint Fund which resources come mainly from loans granted by the China Development Bank, which must be settle through crude oil exportation. According to Venezuela government declarations, such loans do not impose a heavy debt to the country nor conditions such as the commitments acquired with other banks. Nevertheless, according to Mattlin and Nojonen (2011), there is not such a thing as an agreement without conditions. The objective of this article is to evaluate if the VenezuelaChina agreements developed from 2008 to 2013, represent or not a loss of Venezuela sovereignty on its energy natural resources, taking as a reference the three types of conditionality mention by these authors. The availability of energy resources for industrial use is one of the key factors to maintain the growth rate on the Popular Republic of China, whose government found on the Bolivarian Republic of Venezuela, a strategic commercial partner to supply this necessity, supported by the sign of the “Memorandum of Understanding on Decennial Energy Cooperation 2001 – 2011”. The relation accorded by these countries on the scope of fossil fuels commerce, change after the creation of the China – Venezuela Joint Fund, on 2007, as it itself gives a new role to oil making it the main axis on development new projects on diverse areas such as agriculture, infrastructure, and technical cooperation, among others. The role given to this energy resource, is according to Hongbo (2014, p.16) what gives the base to be consider as a unique model on energy cooperation where no state stakeholders, such as banks and oil companies, finance the development of plans, having as guarantor for the loans and the investments, this commodity. 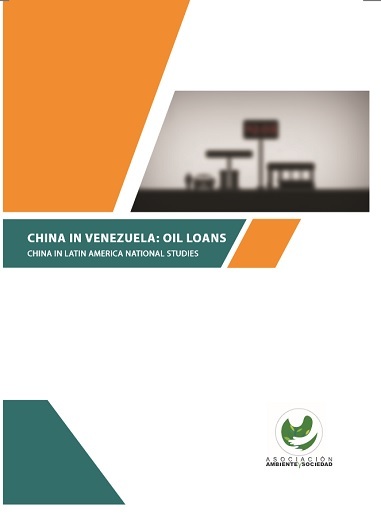 The main target of this following article is to evaluate the conditions of the loans conceded by the Asian Estate between 2008 and 2013, to establish if these imply a lost in Venezuela control over its fossil resources. To do so, it is initially detail China needs on energy resources and the strategies developed on foreign politics in order to guarantee its energy security, which involve no state actors such as Chinese banks and its national oil companies; afterwards, it will explain the development of energy cooperation among both countries since the creation of the Joint Fund (2007) to 2013, year when the last extension of it was approved; finally, the loan agreements will be evaluated from the conditionality aspects established by Mattling y Nojonen in “Conditionality in Chinese bilateral lending”.